I’ve always been someone who looked at confident people from a distance and wondered how they got to be so confident. I envied them. They never seem afraid or are filled with self-doubt. I thought they were just perfectly confident all the time. I longed to be like them, and I tried to pull my self-esteem up by its’ bootstraps, trying so hard to eliminate my fears and doubts, but it didn’t work. Either I wind up feeling depressed because I couldn’t eliminate my fears, or I felt fake trying to suppress my self-doubts, pretending to be somebody I’m not. Either way, I came to realize that my fears and doubt weren’t going anywhere. I began to think about this. Maybe the path to true confidence and better self-esteem (at least for me) is the journey through my fears and self-doubt. Perhaps the feeling of confidence is not sterile of fears and doubts. In fact, come to think of it, is confidence really confidence if you don’t feel any fear or doubt? 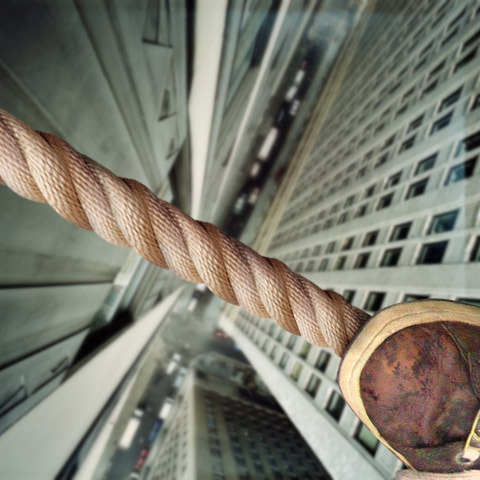 So, recently, whenever I thought about confidence, the image of walking a tight rope would pop into my head. When we walk the line, the reality of falling is always there. The fear of falling is very real and present, but I think confidence is the courage to just take the next step. Don’t underestimate the tiniest movement, the slightest shift in attitude, or the unnoticeable amounts of trust and faith. Confidence isn’t a demeanor, but the small choices we are willing to apply our courage to. It is moving forward — even if it is only an inch.